In a small town like Powell River it's guaranteed you'll see someone you know everywhere you go. I'd been trying to catch a Pacific Coastal Airlines flight to Vancouver, but had no luck due to persistent fog. On the second day at the airport, we ran into Don, an acquaintance of Wayne's from the Chamber of Commerce. During our wait, we learned that Don and two of his friends were founders of the Sunshine Coast Trail. 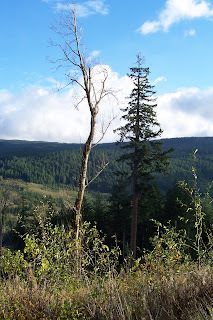 This long distance hiking trail runs from Sarah Point (near Lund) to Saltery Bay, a total of 180 km. 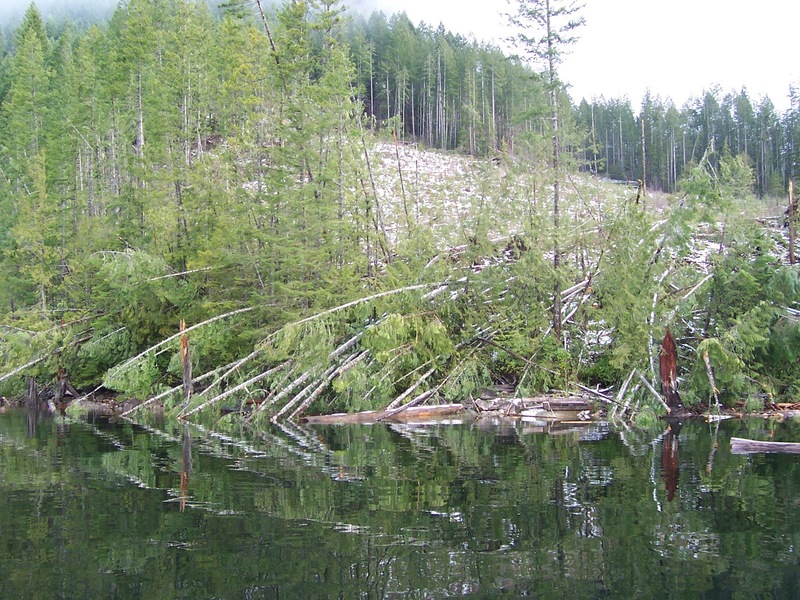 The Sunshine Coast Trail was built and is maintained by dedicated volunteers in the community including the non-profit Powell River Parks and Wilderness Society (PRPAWS). Wayne and I have hiked portions of the trail in all seasons, but have yet to travel its entire length. The Trail is well documented at the Sunshine Coast Trail website. 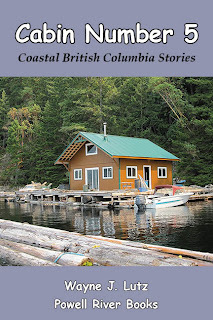 The Sunshine Coast Trail Guidebook (recently updated) by Eagle Walz (another founder) is excellent. It's available for purchase at the Visitor's Centre. 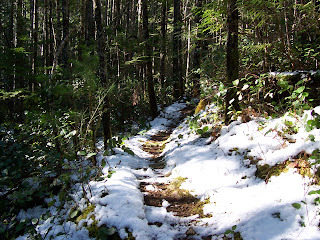 Winter is a good time to hike portions of the Sunshine Coast Trail. Forest roads take you to excellent entry and exit spots. The woods are quiet and often shrouded in snow. Under the trees, hiking boots are fine, no snowshoes are necessary. 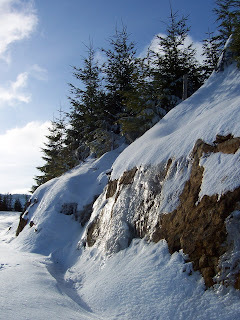 Read about some of our hiking adventures in Up the Winter Trail. In the chapter "Truck Got Stuck" you can read about hiking the Appleton Creek section of the trail. 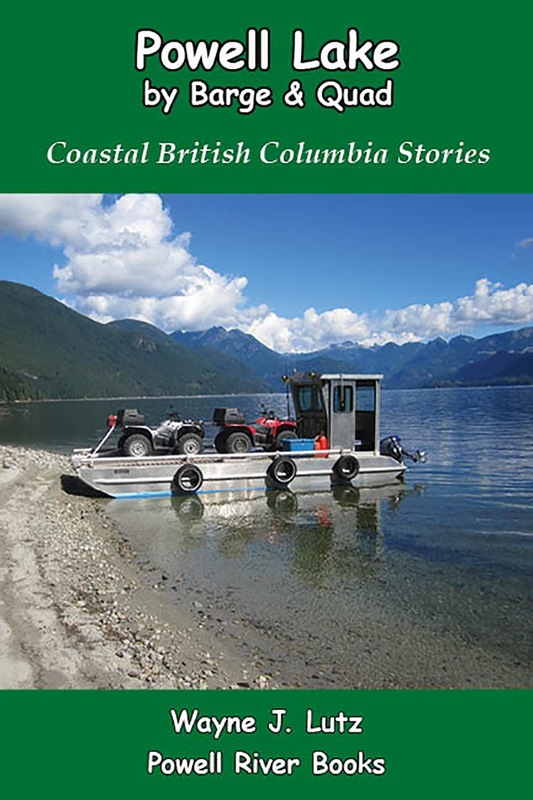 In "Winch It" you can read about a quad ride that took us near a southern portion of the trail along Suicide Creek. And then there's a hike we took just to see Old Gnarly in "Little-Big Storm." I found a Coleman Camp Oven, but the price was a little high. Then I found a wood stove version that got me thinking. I found a toaster oven at the Hospital Auxiliary Thrift Store for $5.00 with a one week guarantee which I immediately voided by removing the plastic siding, stripping out the wiring and taking off the bottom drop-door. I place the stripped oven on top of my KOZI wood stove. The heat radiates up and is trapped in the oven compartment. I regulate the temperature by stoking the fire or letting it die down. It isn’t an exact science, but the price was right. My first recipe was from The Fannie Farmer Cookbook. “War Cake” has ingredients that fit wartime rationing, and I needed one with no eggs. I made a few modifications and call it my Cabin Cake. 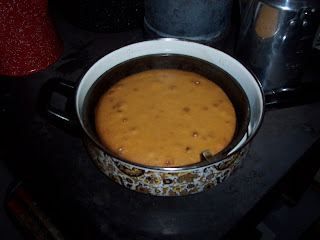 Heat ingredients together in a pan until melted and the raisins plump. Cool slightly. Mix the dry ingredients in a bowl and then add the wet mixture. Stir until blended. Add ½ cup chopped pecans (or walnuts) if desired. Pour into a greased and floured 8X4” loaf pan and bake for 25-30 minutes at 350 degrees in a conventional oven. This week the fifteenth major storm of the season passed through Powell River and Coastal British Columbia. The best part, however, was the noticeable lack of wind. 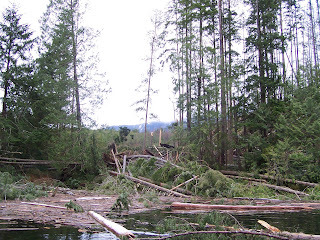 This season has been plagued by unprecedented severe winds that have caused extensive damage and residents have been without power and communication. 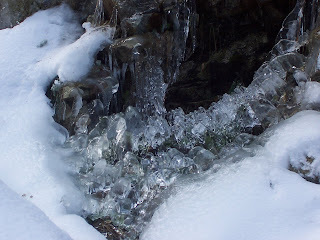 I thought you might be interested in seeing the results of a late December storm in the Hole in the Wall. When the area was logged about 10 years ago, these trees were left as a buffer at the edge of the lake. There just weren’t enough of them left to withstand the onslaught. During the same storm we lost our chimney and two cabin anchor cables, and we were the lucky ones (see “Weathering the Wind” from January 9). Every year there are major storms, but everyone says the frequency and intensity this year is unprecedented. 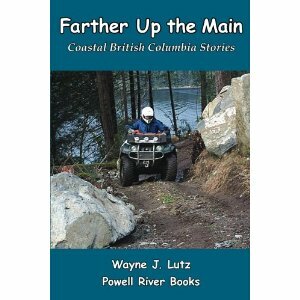 Wayne and I were pure "cityfolk" when we discovered Powell River. 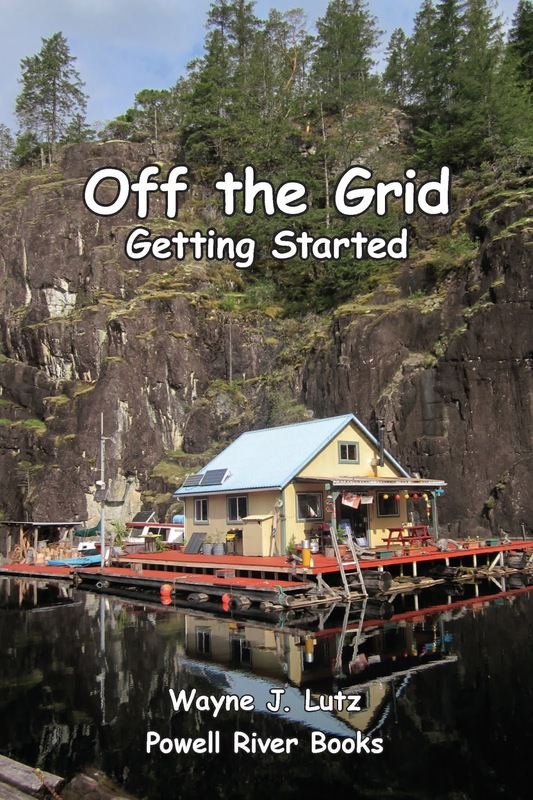 We had to learn more self reliance, especially living in a float cabin on Powell Lake. We've had lots of help from our friend John, but in the kitchen, I've had to do my own experimenting. 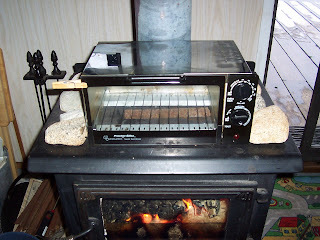 We have a propane stove and refrigerator, but our KOZI wood stove is going all day and night during the winter. It provides us with heat, but I hate to see all that energy go to waste. So, I started experimenting with stovetop baking. I've tried several methods. The first successful one was using a frying pan and rocks. I needed a heavy metal pan with a flat, recessed lid. I've become a second-hand store fanatic. My favorite in Powell River is the Hospital Auxilliary Economy Shop next to Scotiabank. One day I found this pan for only $4.00. I grabbed it quick. To keep things from burning on the bottom, I use a wire rack inside. Next I needed a small cake pan to fit inside. New ones have handles that make them too big. I went to another second-hand store and found the perfect 8" pan. First, I heat the pan and smooth rocks I gathered from Sandy Beach near our cabin. 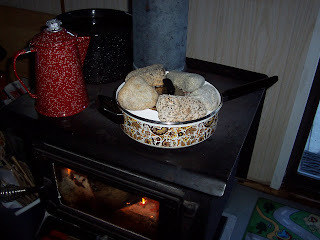 I thought of using rocks as an extra heat source after reading dutch oven recipes. I can't use hot coals in the house, but hot rocks serve a similar purpose. 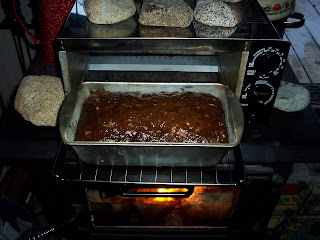 I rotate heated rocks throughout baking to keep the temperature higher. The recessed lid keeps the hot rocks securely in place. My first success was cornbread using the recipe from the cornmeal bag cut in half. My results vary based on the size of my fire. One drawback to stovetop baking is that you need a hot fire. We've been known to open the door to let some cool air in on baking day. Combine the flour, cornmeal, sugar, baking powder and salt. Beat together the milk, egg and oil. Add to the dry mixture and stir to combine. It will be thin. Pour into an 8" greased cake pan. Bake 15-20 minutes at 400 degrees in a conventional oven. In my frying pan on the stovetop, it takes about an hour. I leave it covered for the first 30 minutes. After that, I leave a crack in the lid to let the steam escape. 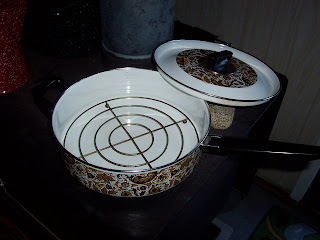 This allows the top to brown more easily, but does extend the cooking time. On Tuesday, January 9, a blast of Arctic air decended on Powell River. The temperature dropped from 6 degrees C to zero in just under an hour and was accompanied by 60 km/h winds. We sat in our cabin watching the waves build on Powell Lake, giving the work boats a wild ride on their way home. One boat even snuck into the Hole for a short respite. The cold weather brought clear skies. Our friend John, his dog Bro, Wayne and I took advantage of the sun and headed for the snow. 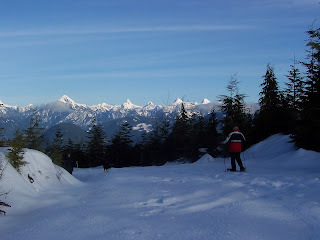 We went up Heather Main as far as we could drive and then donned our snowshoes. A short hike brought us to a viewpoint overlooking Powell Lake with spectatular snowcapped mountains in the distance (Beartooth, Freda, Knuckleheads, Freda and Tin Hat). The snow was crusty and walking was easy in our snowshoes. John has traditional style shoes. Wayne and I have tubular aluminum models. We recently saw a Nova special about climbing Mt. Everest. We kidded John that he was our Sherpa and we were the pokey climbers who paid for the right to climb a majestic peak. While our exertion was nothing compared to climbing Everest, we could imagine their sense of accomplishment and joy at seeing a vista without compare. Today was a very intense weather day: wind, rain, snow, waves, and more wind. Typically, November is the month for windy storms, but this year extreme winds have persisted into January. Trees blown down in John's back bay. 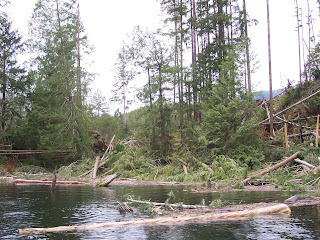 Most of the trees bordering the bay across from our cabin blew down last month. Trees over two feet is diameter just snapped like matchsticks. They now lie in the water with their jagged stumps jutting up along the shore. In the past, these trees provided a windbreak from the southeast winds that usher storms. Now, the wind blasts across the Hole in the Wall and swirls off the cliff behind our cabin. Two of our cabin anchor cables snapped during that same storm. Fortunately, we weren't there that day. It would have been a wild ride. This was the second time it happened. After the first (chronicled in Up the Lake Chapter 4), our friend John installed double cables. Those lasted over five years, but this time he devised a whole new new system. John is a float cabin engineer extraordinaire. What he came up with is a shock dampening system using old car times. Instead of connecting the 7/8 inch steel cables from the rock wall directly to the float structure like before, he placed a car tire in the middle.